Breakfast: the best way to start the day! A day in Venice, whether you’re here on holiday or on business, is sure to take it out of you. For this reason, here at Hotel Montecarlo we go to great lengths to ensure that you have the opportunity to enjoy a rich, hearty breakfast that will set you up for the day ahead. 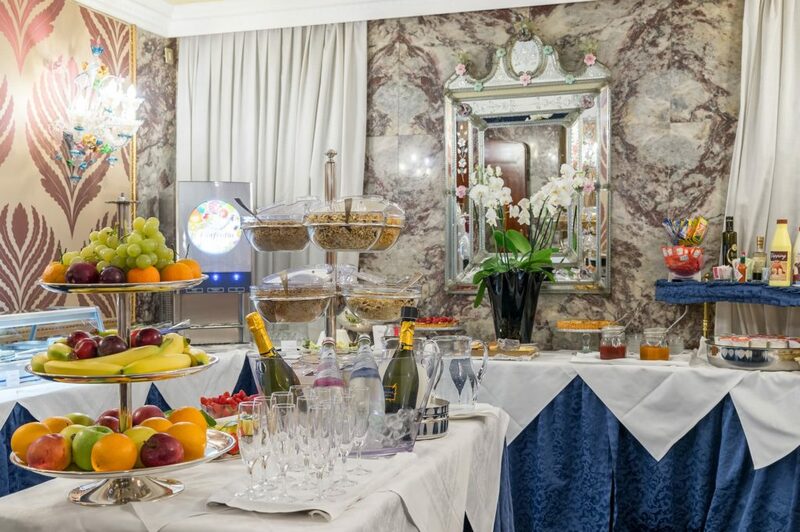 Hotel Montecarlo’s buffet breakfast, served in the evocative Venetian-style dining room, takes in an array of fresh produce, including myriad sweet and savoury delicacies, giving you all the energy you need to spend the rest of the day strolling through the streets and alleys of this enchanting city! Book your room in the heart of Venice straight away and discover our hospitality, from the moment you wake up!